GOLD Coast has secured the signature of delisted free agent Jordan Murdoch, signing the former Geelong speedster to a three-year deal at Metricon Stadium. AFL.com.au first reported the Suns' interest in Murdoch last week, with the Saints also later joining the chase as a potential suitor for the 26-year-old. However, Gold Coast confirmed on Wednesday it had beaten St Kilda to his signing, with Murdoch penning a deal to remain at the expansion side until the end of 2021. 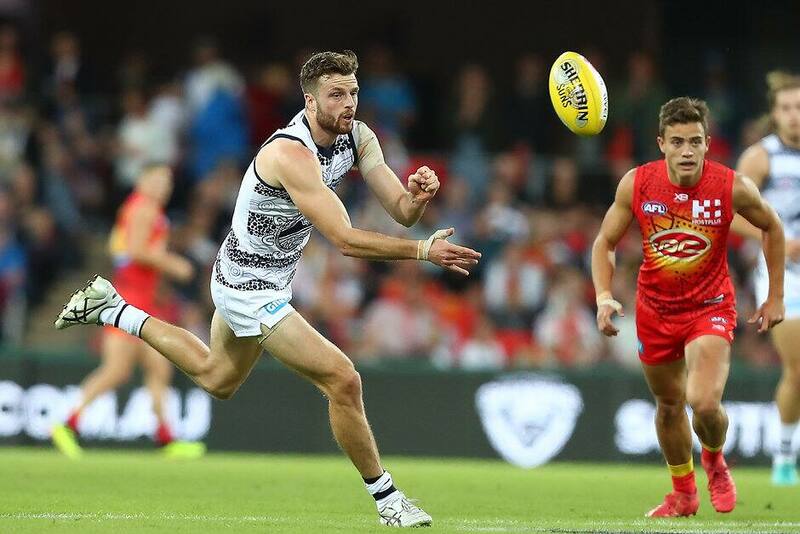 The experienced midfielder played 108 games across seven years with Geelong before he was delisted last month, with his acceleration undoubtedly his biggest asset. "Jordan provides us with elite speed and foot skills, to add balance to our midfield," Gold Coast list manager Craig Cameron said. "He is a man of great character, has experience in a strong program at Geelong and will help to drive the professional standards here at the club. "We've begun this off-season implementing a long-term strategy for this football club to ensure we have good balance across our entire list." Murdoch becomes the eighth player to join Gold Coast this off-season, joining Corey Ellis, Jack Hombsch, George Horlin-Smith and Anthony Miles from rival clubs, as well as state-league players Chris Burgess, Sam Collins and Josh Corbett. The Suns will also enter the NAB AFL Draft with an abundance of early picks, currently holding selections No.2, 3, 6, 24, 29 and 80.